We are honored to celebrate the life of Martin Luther King Jr. today. In celebration of his legacy of peaceful advocacy for human rights, we would like to share the story of another amazing individual who fought for the rights of blacks, women, and children. Julia Mavimbela is a powerful example of peace, equality, and love. We hope that her story inspires you. Julia Mavimbela came head-to-head with the injustice blacks faced in South Africa when her husband John was killed in a tragic automobile accident. It was 1955, and even though the white driver who hit her husband's car had been driving on the wrong side of the road, white police officers decreed that the accident had been John's fault because of his race. Mavimbela was 37 years old at the time and two months pregnant with her fifth child. Bitterness over the injustice of the situation boiled in her veins, but, not long after his passing, Mavimbela's husband appeared to her in a dream. In the dream, John handed his wife a pair of overalls and told her to "go to work." Through that dream and studying the Bible, Mavimbela came to learn that she could find forgiveness by getting involved in the community and representing the principles she believed in. Mavimbela became one of the first black school principles in South Africa, helped found the organization Women for Peace, was repeatedly elected as the president of the National Council of African Women, worked to eliminate illiteracy in South Africa, and was a voice to bring various civil rights issues to the attention of the government throughout her lifetime. In the mid-1970s, apartheid was growing heated and violent in South Africa. In an effort to keep her own bitterness at bay and to teach the children in her neighborhood to love instead of hate, Mavimbela started a community garden. The garden gave Mavimbela an opportunity to teach the children about hope, to beautify her homeland, and to provide food to families in a time of great hardship. 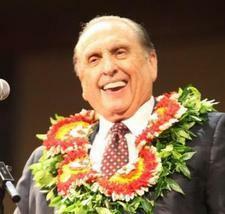 In the March 1995 Liahona, Dale LeBaron wrote, "Part of the beauty Julia planted was in the hearts of the young. 'When I was planting with them, I would say, 'Now look, boys and girls, as we see this soil down here, it is solid and hard; but if we push down a spade or a fork, we will crack it and come out with lumps. And then if we break those lumps and throw in a seed, the seed will grow. "'This message is my message to young people. They should have it in their hearts. Let us dig the soil of bitterness, throw in a seed, show love, and see what fruits it can give. Love will not come without forgiving others. Where there has been a blood stain, a beautiful flower must grow.' Her efforts helped repair not only the physical damage but also the moral damage caused by the riots." When Mavimbela met two white elders helping with the reconstruction of a raided library in 1981, she invited them to her home to share their message despite the danger, as blacks and whites were not supposed to be seen together. Their message of eternal families and forgiveness touched her heart, and she was baptized five months later. Mavimbela would go on to be an example of tolerance and bravery within the Church. "Julia's comment reflects a valuable insight. We must not only be tolerant while others work on their individual illnesses; we must also be kind, patient, supportive, and understanding. As God encourages us to keep on trying, He expects us to also allow others the space to do the same, at their own pace. The Atonement will come into our lives in even greater measure. We will then recognize that regardless of perceived differences, all of us are in need of the same infinite Atonement." Julia Mavimbela passed away on July 16, 2000. Florence, Giles H. Jr., "Julia Mavimbela: Sowing Seeds in Soweto," Ensign, April 1990. Heiss, Matthew K., "Healing the Beloved Country: The Faith of Julia Mavimbela," Ensign, July 2017. LeBaron, Dale, "Julia Mavimbela," Liahona, March 1995. Renlund, Dale G., "Latter-day Saints Keep on Trying," April 2015 General Conference.